When I was cooking in the kitchen, Zoey decided she had to help. 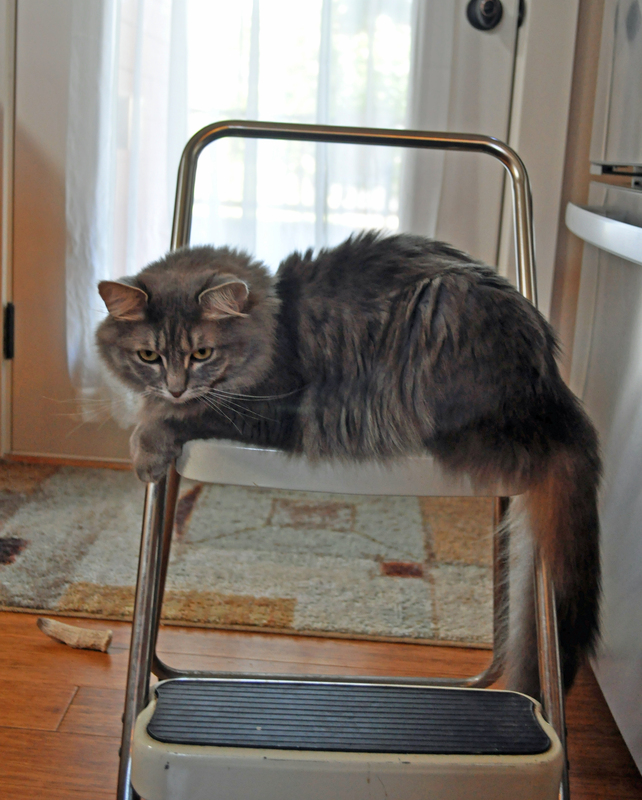 Of course, her way of helping is just finding new things to play with or climb on or climb in. 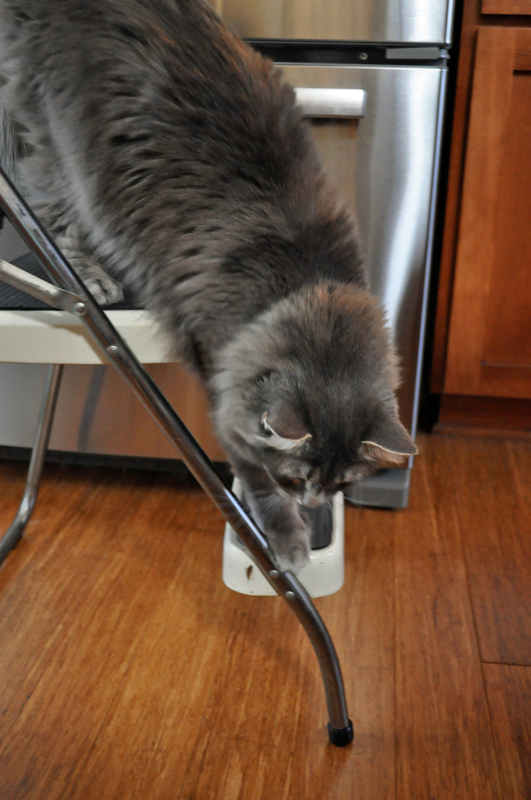 She started by climbing on the step stool I have to use to reach the cupboards over the fridge. Of course, this meant that I couldn’t put the things back in the cupboard. And when I tried to take a better picture of her, she immediately decided that she had to climb down so that she could investigate the camera. 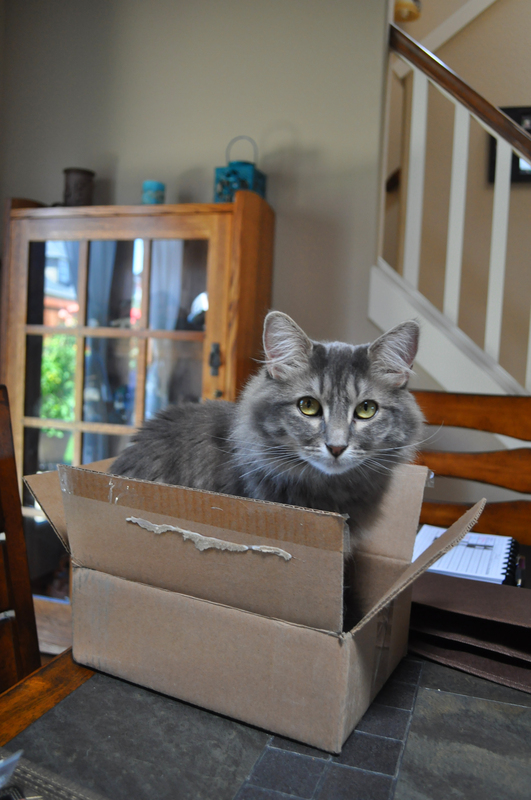 It didn’t take her long to discover that I had an empty box on the dining room table that was the perfect size for her. 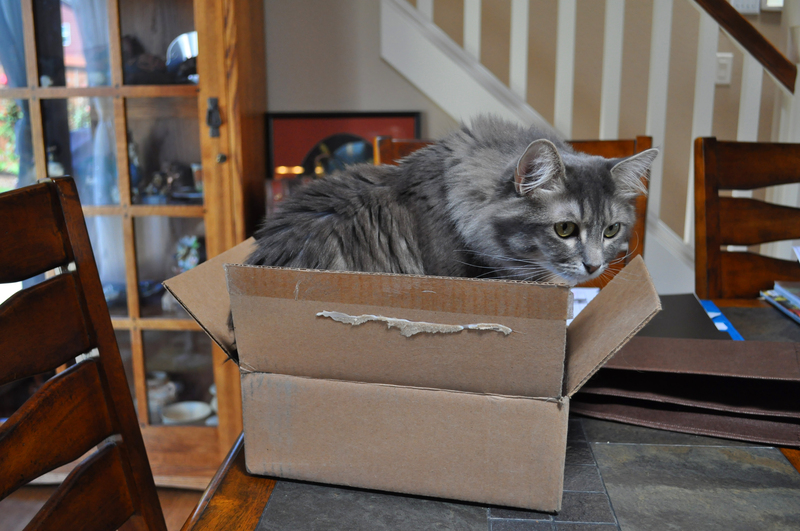 Guess I should thank QVC for sending me a box that small — just big enough for her and far too small for the other cats (not that it has stopped them from trying). When I tried to get her to move, she just gave me those big eyes of hers. I can’t quite figure out if she’s the smartest cat I have or the one who is so clueless that every little thing fascinates her.